We are happy to welcome our new Grip and Assistant, Bernard Ho. He’s new to the trade but he sure learns fast. Moving the camera in this narrow space is not for one with jittery hands... one wrong turn and it's back to the beginning! 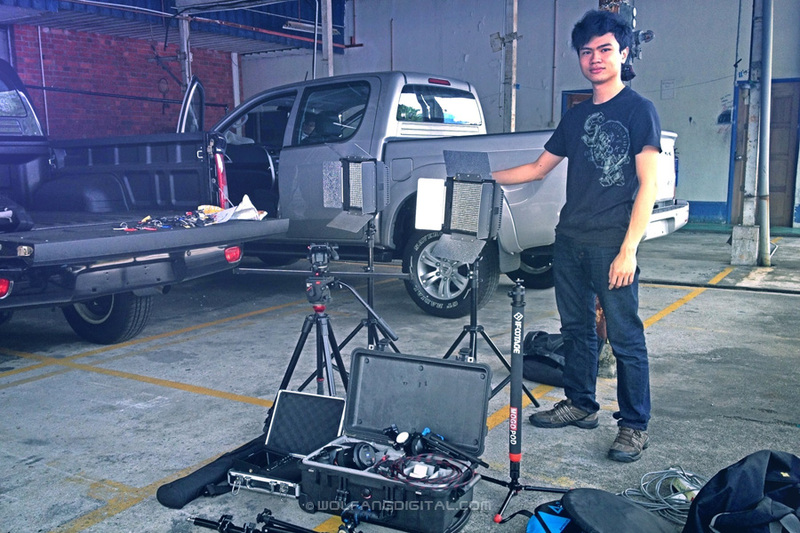 Last week we were awarded the project to produce a corporate film for TCIM Sdn Bhd. One of TCIM’s main business is supplying vehicles to the agricultural and construction sectors. Bernard Ho is our new grip/set assistant and he does a mighty fine job despite being new. 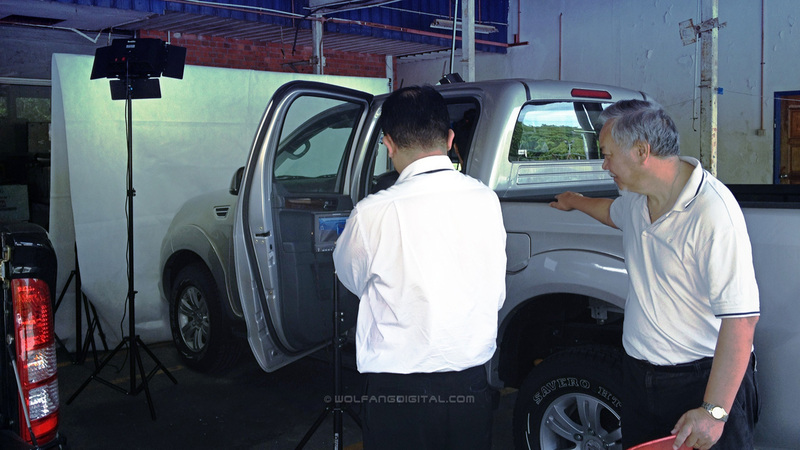 Part of our shooting session was to film the Foton Tunland pickup’s interior and match it with an existing corporate video. The Sony A99 is the best tool for the job- small form factor with good dynamic range to work in a highly reflective interior. 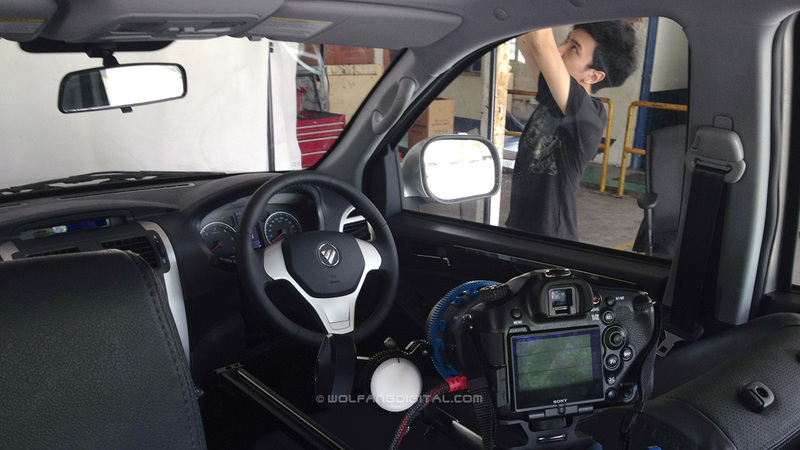 It’s already challenging enough filming a vehicle’s interior but more so if we had to reproduce the lighting style from another video that was shot overseas. Tensed moments- client is watching our every move through the high-definition monitor. In this corporate video production, we had a high-definition LCD monitor deployed for our clients to see the colors and composition from the vehicle’s cramped quarters. As so many surfaces in the four-wheeler is reflective (upholstery, dashboard, windshield), we had to be very careful with our lighting. In the end, our client was happy with our shots and it’s now time for us to start with the editing process.